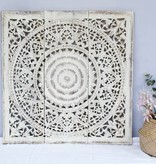 Wall panel Design SOLE, authentic wooden carving | Simply Pure - simply pure. Make of this hand carved sun a radiant centrepiece of your house! 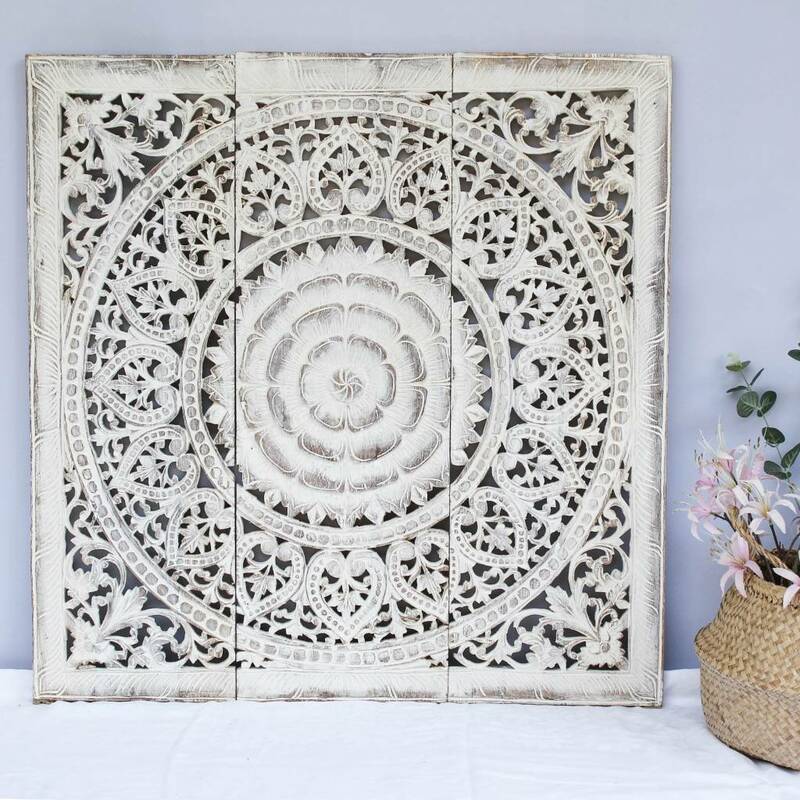 The wall panel is made by artists in the tropical forests of North-Thailand and is a delicate display of our nearest star. The Thai artists carve a small Design SOLE wall panel in a couple of weeks, the bigger versions take 3 to 6 months. The trendy wall panels are suitable as decorations for a variety of rooms, such as a living room or bath room, but also an office or hotel room. Hand carved by artists from the tropics of North-Thailand.